MY SKINCARE FAVOURITES | RAWR BOWS. I recently wrote a post about my Winter Skincare Essentials, where I talked about my beloved face moisturiser by L'Oreal. Well, now I am here to talk about my love for L'Oreal skincare in general. A few months ago, when the winter cold hit London my skin was in desperate need for some love and that is when I started using face masks regularly. I first bought L'Oreal Pure Clay Detox Mask as I liked the sound of it and, being honest, because it is black and for some reason a black face mask looked more effective than a pink one to me. Leaving that not so clever reasoning aside, I had heard wonderful things about the Pure Clay range and it had been widely adverted since its launch so obviously I had to give it a try. The Detox mask is meant to detoxify the skin by cleansing deep into the pores, leaving the skin looking clarified and beautiful without drying it out. It has charcoal in it that, apart from giving it that black colour, it acts as a magnet to draw out impurities. Using it regularly (once a week), I have noticed that my skin does look clearer and more homogeneous but I do find it a bit drying so I need to moisturise straight away after using it. 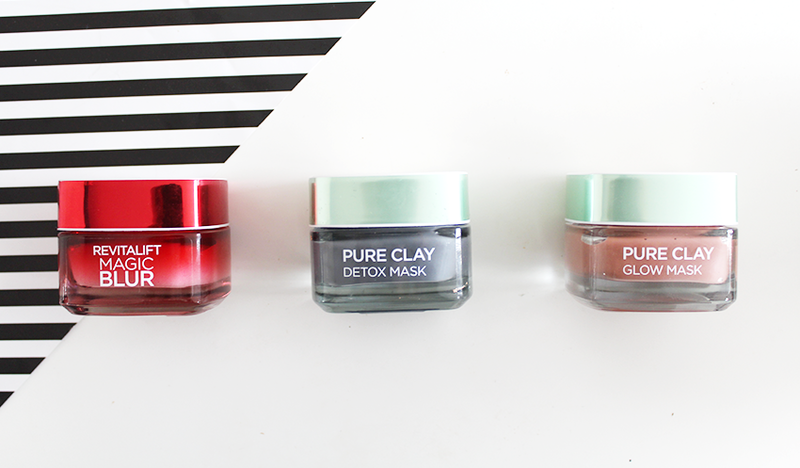 Recently, I decided to get another Pure Clay Mask - the Glow Mask. I have only used this one a few times but I already love it. It has small beads in it that help exfoliate the skin and the read algae helps your skin look brighter and glowy (which is goals). It's also less drying than the Detox Mask, so if you have very dry skin this one should be fine! Finally, let's talk about my all time favourite moisturiser. I'm going to keep it short and sweet because I have talked about it extensively in many other posts. Basically, if you have normal to dry skin and don't want to spend loads on a high-end moisturiser you need to try L'Oreal's Magic Blur. 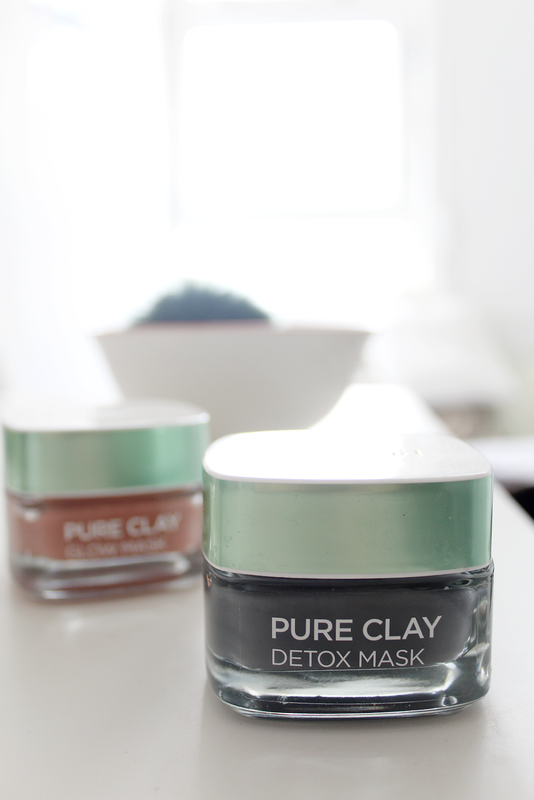 I really want to try their other mask from the Pure Clay range: Purity Mask. But I think for now I am well-served with face masks before I get a new one!